Saturday, June 27 and Sunday, June 28 2015. Civilized Places and Events. We were free Saturday afternoon between the rehearsal and concert. Karen and I had lunch at a cafe near the Stephansdom and then went back to the hotel. Conserving energy was an issue on this very long day. 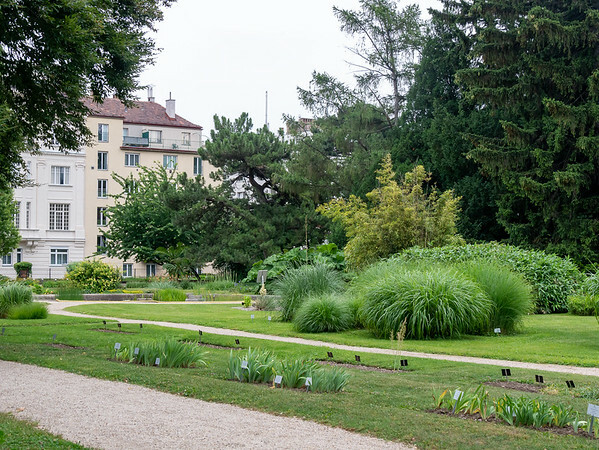 We wandered over to the University of Vienna Botanical Garden -- historically important for the garden tourist -- all of 250 meters from the hotel. 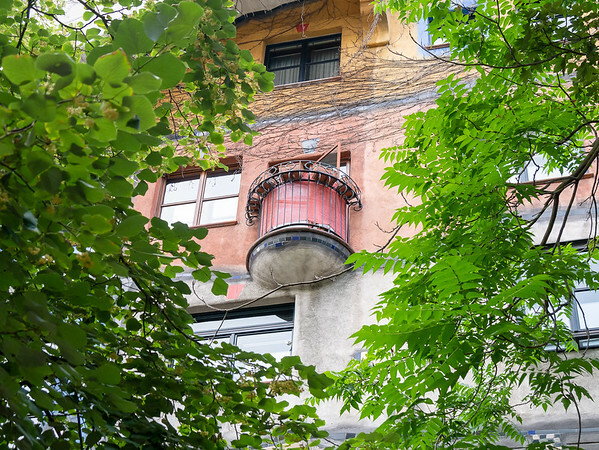 On Sunday there was an organized bus tour that drove the Ring, made one stop at the Hundertwasserhaus, and went on for about three hours at Schloß Schönbrunn. Then in was on to Eisenstadt. 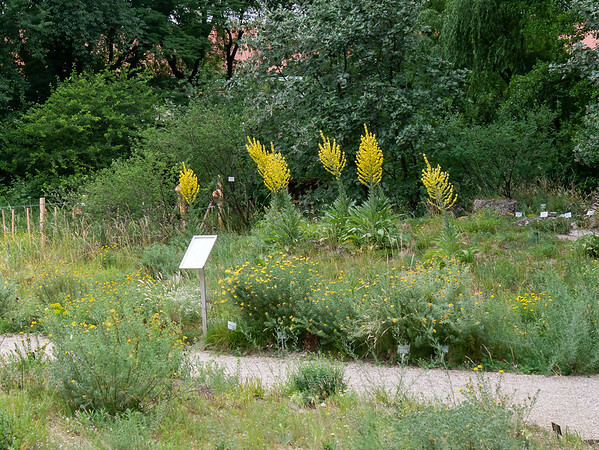 The small alpine garden -- not the famous one farther back -- by the main entrance to the University of Vienna Botanical Garden. It was a very short walk from the hotel. 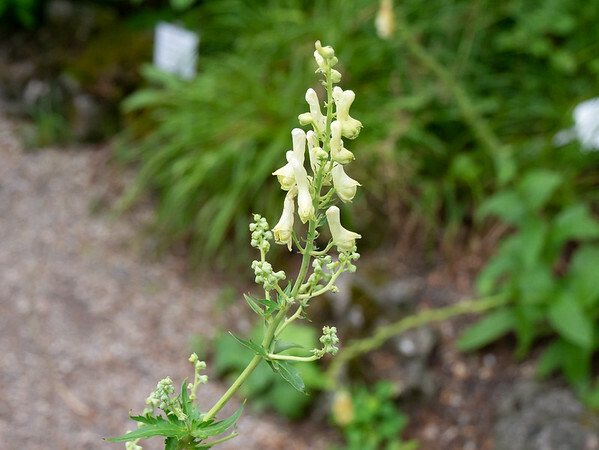 Aconitum napellius ssp. neomontanum (monk's hood, aconite). I recongized the genus immediately, but not the species. 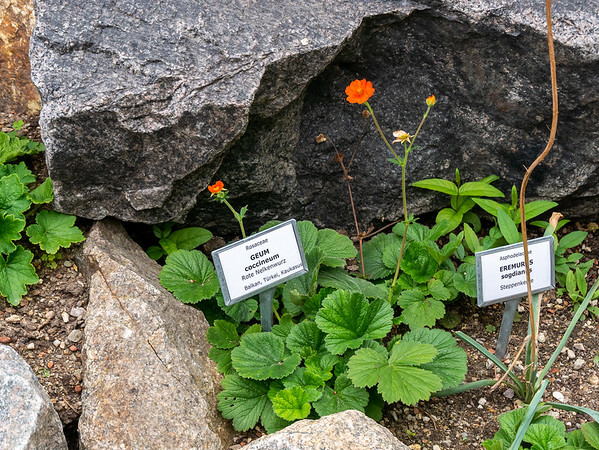 Note Flora Europea gives the currently accepted subspecies name as A. n. subsp. lusitanicum. 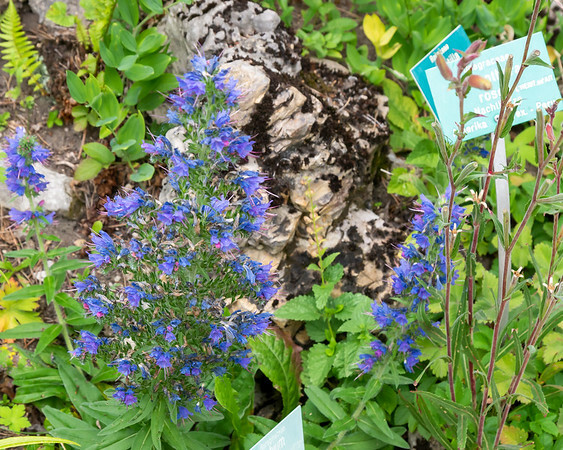 The garden has the expected display plots and specimen plantings. 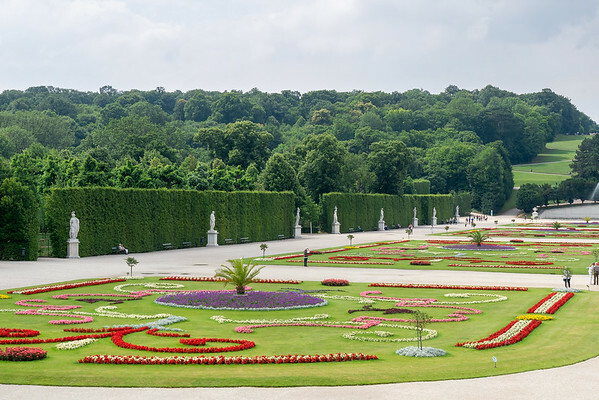 While not on most tourist's top-ten list, this garden is a historic place. It dates to 1754. 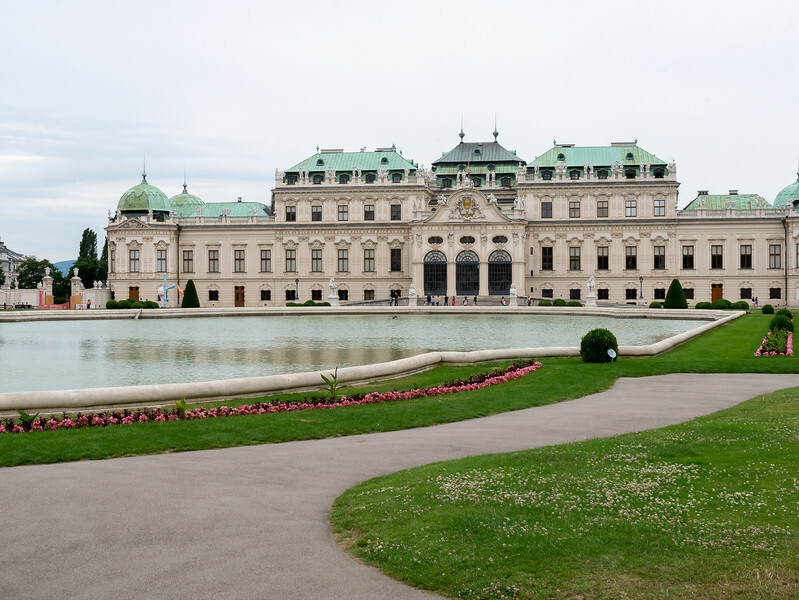 It was established by Maria Theresa. 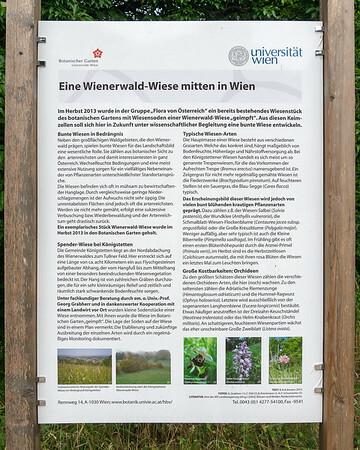 A Vienna Woods meadow in the middle of Vienna. Die Wienerwald-Wiese. I'll admit I find this sort of environmental planting more interesting than the bed-and-specimen approach. The highlight was at the far end. 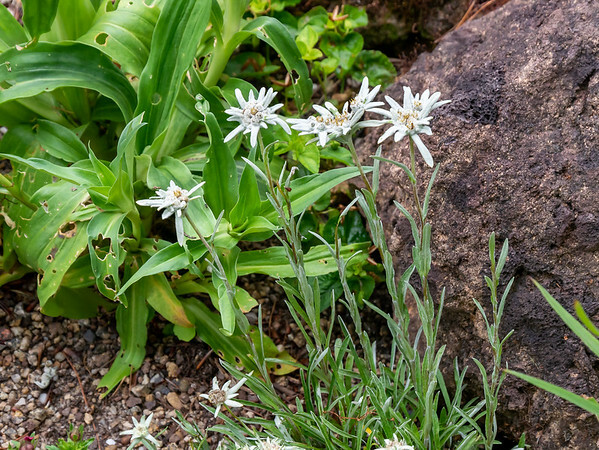 This is the oldest alpine garden in Europe (and perhaps the world). The collection began 200 years ago. The garden on this site is celebrating it's 150th anniversary this year. This is the entrance from the Schloss Belvedere grounds. 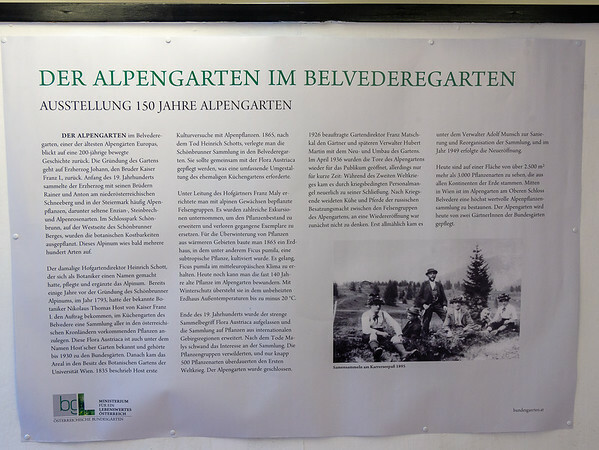 Der Alpengarten im Belvederegarten. Most of the collection appears to focus on the mid-elevations in the Alps rather than areas above treeline. 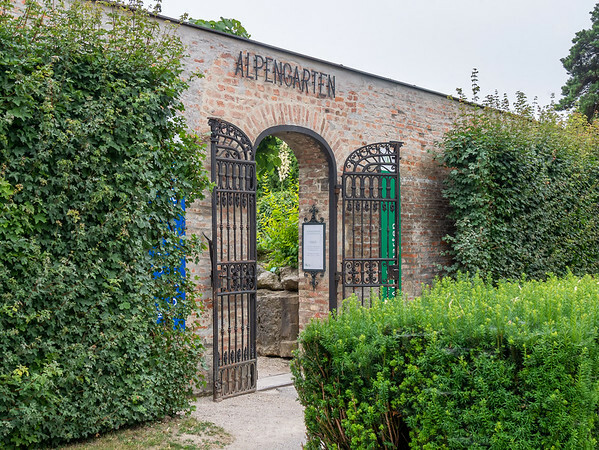 Der Alpengarten im Belvederegarten. A very familiar garden plant. 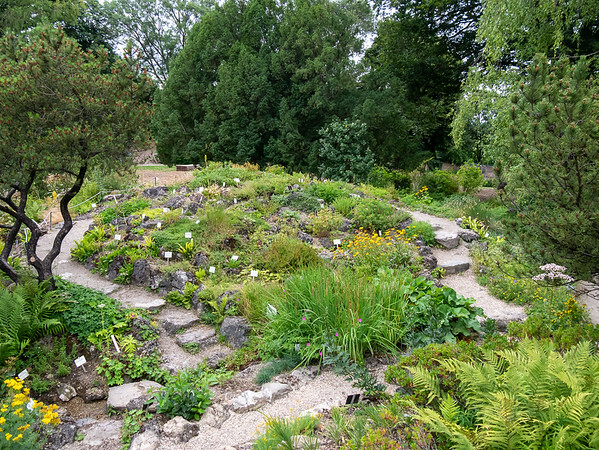 Exhibition of the 150 year alpine garden. 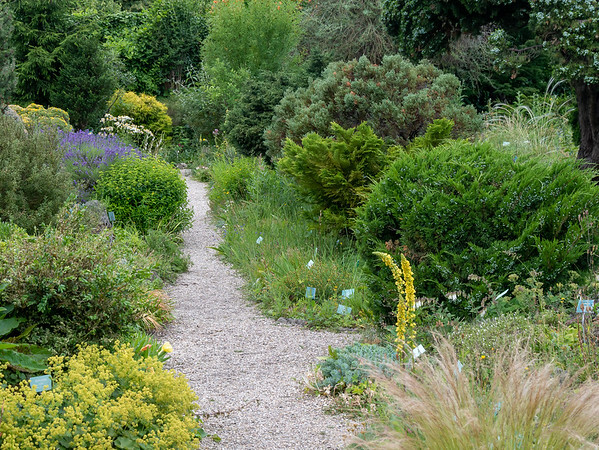 This just says it is one of the oldest alpine gardens in Europe. The website is not so modest. 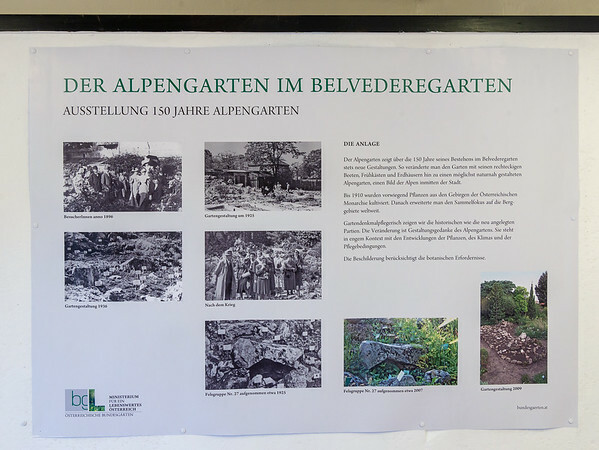 Exhibition of the 150 year alpine garden -- The site. Just outside the entrance is the upper part of Schloss Belevedere. The grounds are now a public park. Sunday, June 18. Our day started with a bus tour of the Ring. 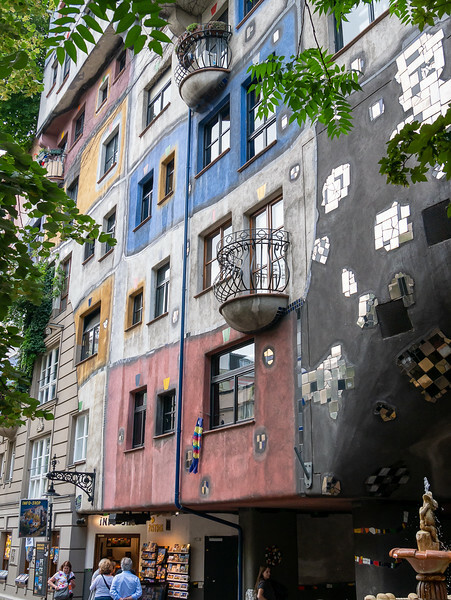 The first stop was the Hundertwasserhaus, the expressionist vision of artist Friedrich Hundertwasser. "The straight lines and uniformity of Bauhaus architecture are coming to an end because they are unfeeling, sterile, cold, heartless, aggressive and unemotional ... The new values are a higher quality rather than a higher standard of living, yearning for romanticism, individuality, creativity ... and a life in harmony with nature." There's a playful, sometimes chaotic, almost child-like artisanship here. 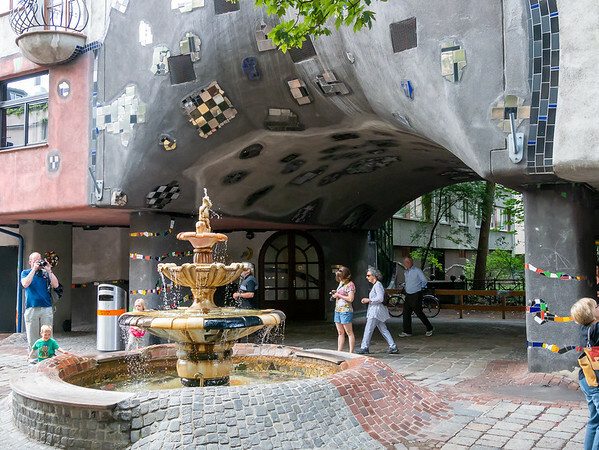 But why do I feel like it's a distant outpost of Portmeirion? 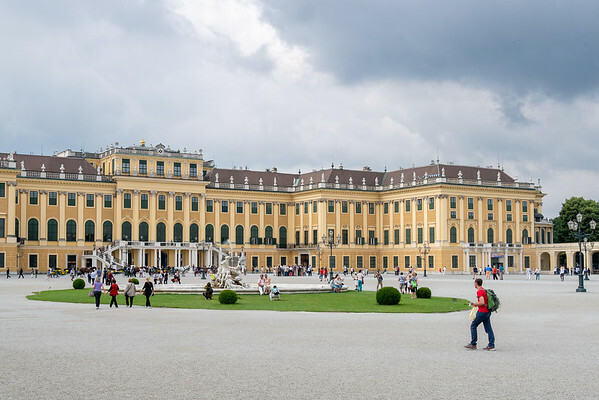 The second stop was Schloss Schönbrunn. Most of the group did the standard palace tour. Since I've seen it, I spent the time available -- about 2-1/2 hours -- on the estate grounds.